Winter sales are here! Grab Backstage Pass for 25% off from itch.io or Steam today! Backstage Pass is now available for sale as a digital download along with a super cool bonus! Buy it from us and receive the game plus a digital image pack of character design sheets from the opening animation! If you pre-ordered the game, you can re-download your pre-order bonus pack to find the images there too! Happy Lunar New Year! Since characters in the game and several of the game developers celebrate the Lunar New Year, we thought it would be a great time for a sale! Use the code MONKEY45 when you checkout for a super cool discount! Happy New Year! We're happy to announce that the voiced version of Backstage Pass is now available! If you have it on Steam, it should automatically update for you. If you've purchased it directly from us, the download link in your original confirmation email will automatically link to the newest version. We've been in the recording phase for a while, and as we're nearing the end of that process, I'm pleased to announce our first round of castmembers. You can hear sample clips of their voices on the characters page. It's been a while since we updated, but we're updating with some great news! Backstage Pass is now available on Steam Early Access. If you pre-ordered the game, you can request a code here. Lots of news this time around! First off pre-orders are now open! Pre-order now for some really nice goodies including the lovely opening song you hear in our shiny new trailer! Also, we're up for voting on Steam Greenlight, so please give us an upvote if you happen to be headed that way. Check out the characters page for a new CG of Benito Kouyama! New Adam CG on the characters page. It's super romantic! Due to popular vote, a new Matthew CG is up on the characters page. If you want to be part of the fan votes, join us on facebook, twitter, tumblr. Check out our info page for some new screen shots, including a first look at the game system at work. 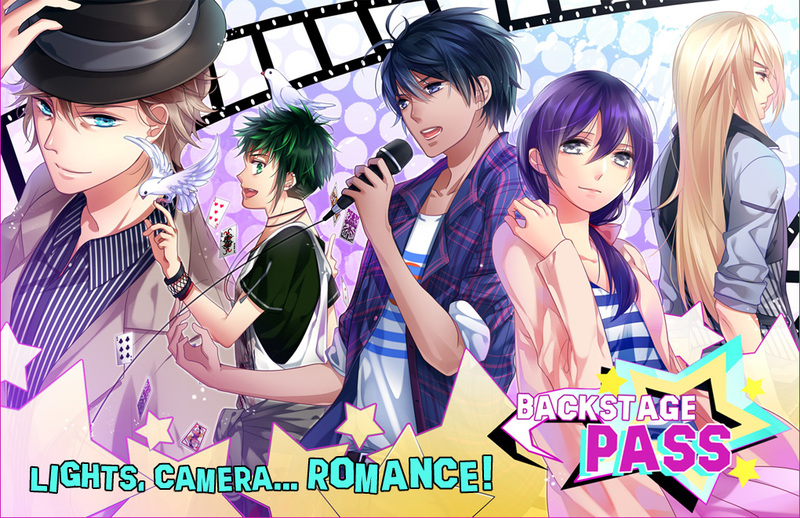 Backstage Pass is a visual novel/sim game produced by sakevisual. It follows the life of Sian Goodin as she juggles her first year in college with her work as a professional makeup artist. Gameplay is in the style of a stat-raising otome game, and is available for sale on PC, Mac, and Linux. -Work jobs to earn money and increase your status in the industry. -Change Sian's look with 80+ articles of clothing.